We only see one species of Wren in the UK. Perhaps you noticed it on our Welcome banner. It's called the Eurasian Wren (right) scientifically known as Troglodytes troglodytes, it belongs to family Troglodytidae. This bird is widespread throughout the Northern Hemisphere where it gleans insects from leaves, twigs and various crevices within about two metres from the ground. In the UK it is colloquially known as the Jenny Wren and an RSPB information leaflet says it is the most widespread and numerous species in the UK. 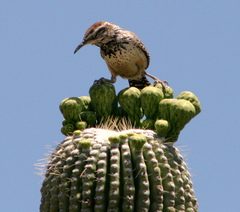 What you may not know is that family Troglodytidae contains 79 other species of Wren found only in the Americas. So if you really want to see Wrens you need to go to the Americas. 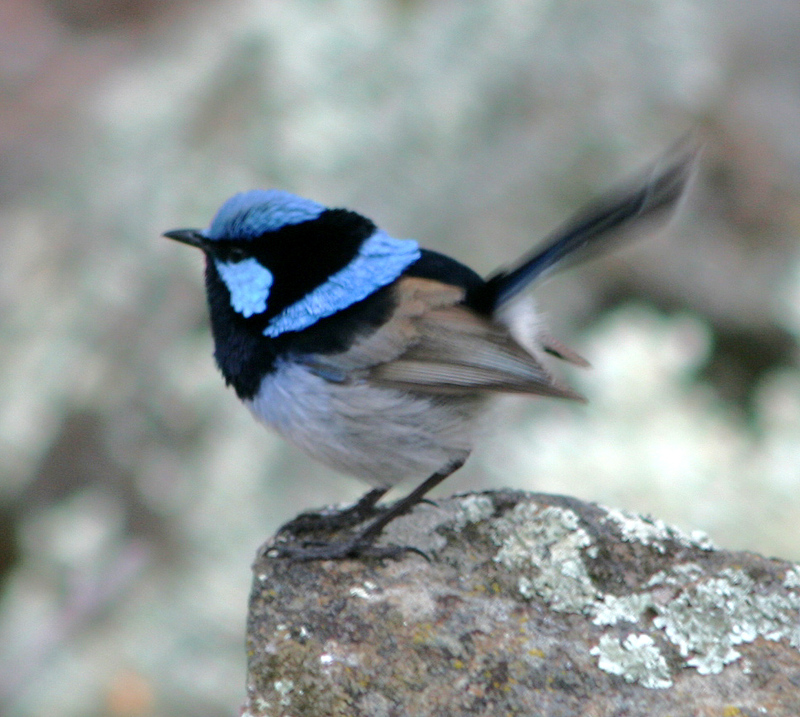 These birds are all insect gleaners which have established niches which can be defined by the sub-habitats such as tangles of vegetation, nooks, crannies and crevices particularly in rocky areas. 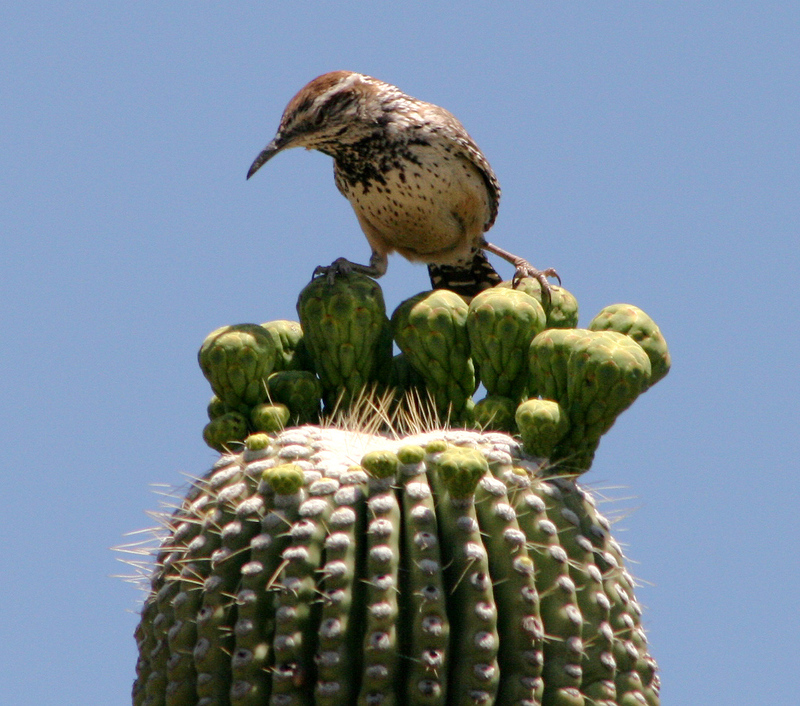 Names like the Cactus Wren (left) and the Canyon Wren indicate the type of habitat in which these birds are found and make their nests. 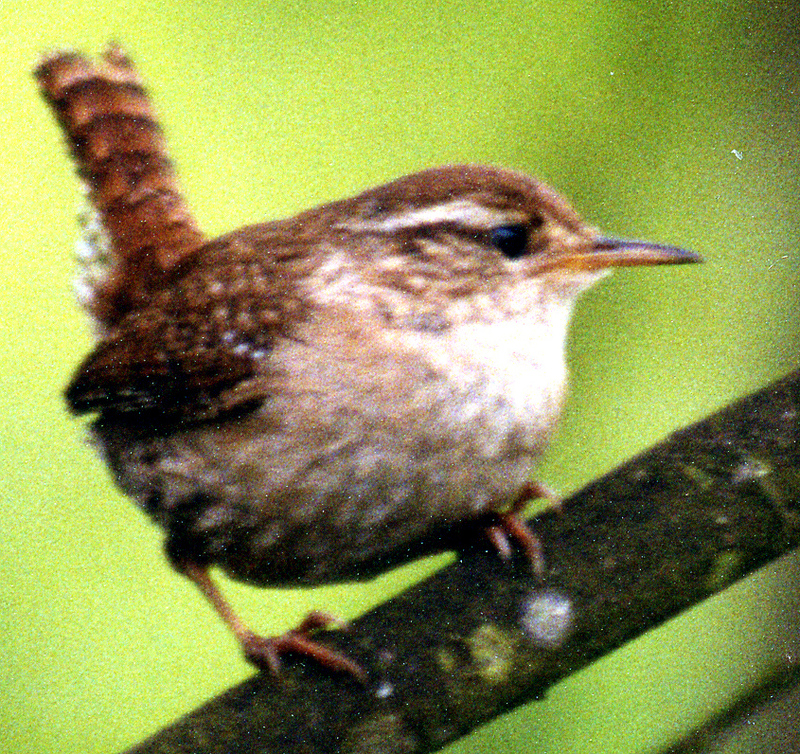 Other Wren-like birds are found in various parts of the world. In Australasia 28 species of Wren are listed in family Maluridae. The lovely blue Superb Fairywren (below, right) is often unseen until it flies out from its place of concealment in the foliage just above the ground. It feeds briefly on insects plucked from rocks or the ground and then flies back to become almost undetectable. 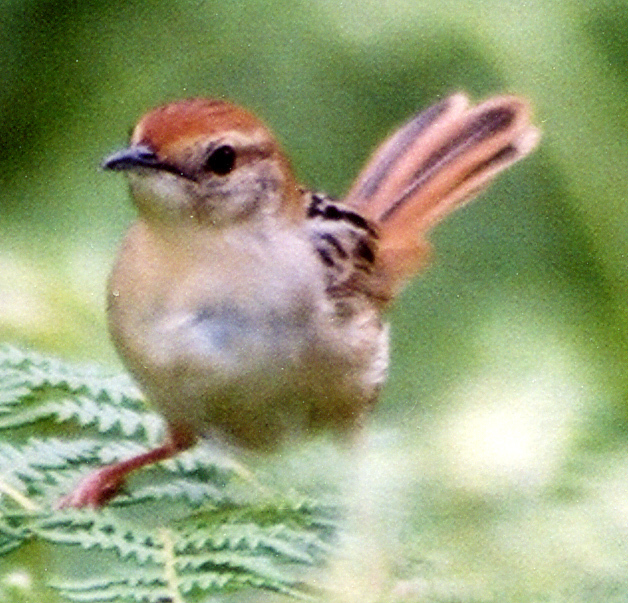 New Zealand Wrens, listed in family Acanthisittidae, are known as Rifleman, Bushwren and Rockwren. They search for insects on trunks, branches and leaves of forest trees. The African region has 128 species of Cisticolas and Prinias, in family Cisticolidae, some of which look and behave very much like the Wrens. Levaillant’s Cisticola is shown here (left). Prinias used to be called Wren Warblers.